It’s only Wednesday, but it sure doesn’t feel that way. It’s been a long week, and for the first time since my DI started, I’m feeling overwhelmed. I miss my routines and the freedoms of my old schedule, and suddenly the year ahead of me feels very long. Through all of the recent transition, I’ve been holding onto the routines and constancy that I can. Not surprisingly, food is something I can rely on to feel familiar and comforting, just as it was during my post-bacc and the start of graduate school. It’s helpful to breathe, to talk to friends, to unwind with a show or a book. But nothing keeps me grounded more than cooking and eating. 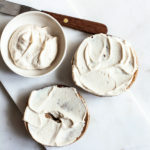 This super simple, 5-ingredient tofu cream cheese has been keeping me good company in the past four weeks. 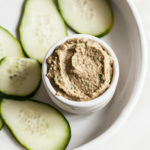 I’m a longtime fan of Tofutti—in spite of all the new vegan cream cheese options on the market, it’s my enduring favorite—and when I recently ground tofu up in my food processor to make plant-based meatballs, it occurred to me how easy it would be to make my own dip/spread/cream cheese option. It was even easier and more of a success than I thought. My mixture doesn’t quite taste like the stuff on the market, but it works. 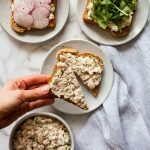 It’s salty and a little cheesy, plenty spreadable, and incredibly easy to make. 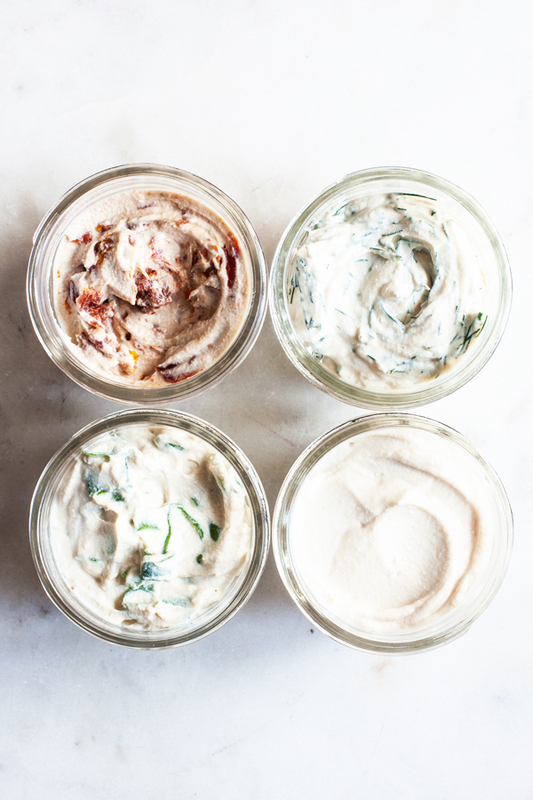 I like it plain, but I’m offering you three additional options depending on how you like your cream cheese: sun-dried tomato, dill, and chive. For all versions, I used a bit of umeboshi plum vinegar. 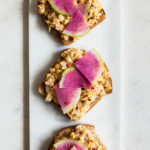 It’s not my trick-of-the-trade: a while back, I remember seeing a tofu spread in a macrobiotic cookbook that used umeboshi for saltiness and acid. I decided to try it, and I loved what it did for the recipe: the taste is hard to describe, but it’s both very salty and very sour. If you need or want to replace the vinegar, no problem: extra lemon and salt will do the trick. But it’s a cool ingredient to have on hand; I’ve used it to season boiled cabbage, brown rice, and even salad dressings. I also added a bit of nutritional yeast to the recipe, which contributes umami and a touch of cheesy flavor. If you love nooch as much as I do, you can add more than the suggested 1-2 tablespoons. I tend to have a pretty heavy hand with nutritional yeast, but I used only a tablespoon and a half here so that the flavor wouldn’t overwhelm the spread. 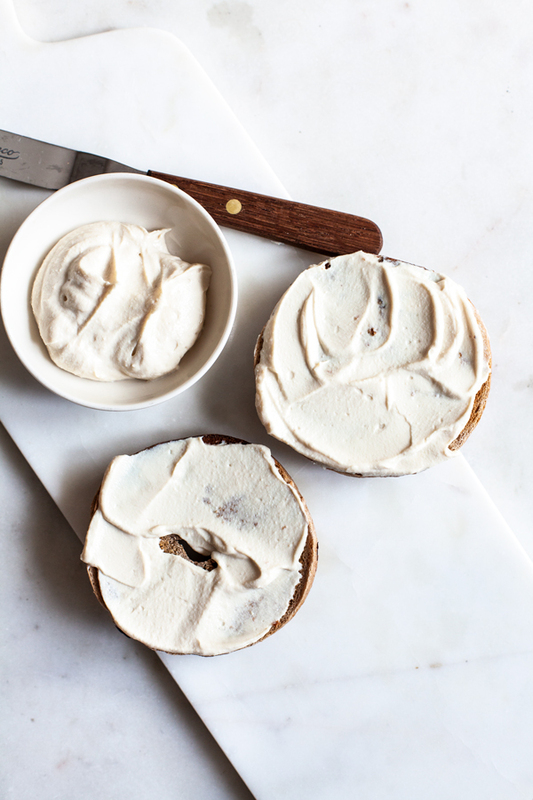 After all, cream cheese is usually pretty neutral. Blend all of the base ingredients in a food processor fitted with the S blade or a high speed blender till smooth (at least 2 minutes in a food processor). Taste; adjust lemon and salt as desired. Pulse or fold in your mix-ins of choice. Cream cheese will keep in an airtight container in the fridge for up to 5 days. No need to follow my flavoring or mix-in suggestions for the recipe. 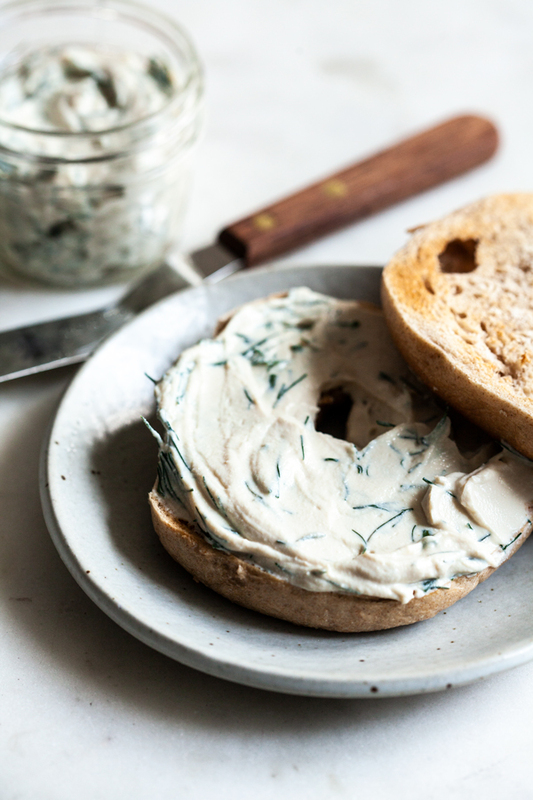 I chose the cream cheese flavors I’ve always loved in the past (since my undergrad days, when the local deli just so happened to carry at least 4 tofu cream cheese flavors), but you could choose different herbs or vegetables. I’d love to try a sweet version with berries or baked/stewed apples sometime, too. As for serving this stuff, my comfort food option of choice is most definitely a bagel (the ones pictured are sprouted wheat bagels from Silver Hills). But I also like the spread on regular toast, or stuffed into a wrap with roasted veggies. 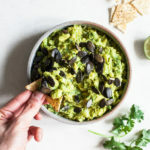 It’s a pretty great snack dip, too, and I’m sure it’ll be a nice hummus alternative in the year to come! Wishing all of you—and wishing myself—a calm, grounded conclusion to this week. See you soon, for weekend reading. Omg, I was literally just wondering how I could make a good homemade alternative for this. Thank you so much for sharing this Gena! Nice recipe and preparation. Auntie gonna love to try this. Thank you so much for this!!! Since going plant based 10 months ago we havent missed any cheese or dairy but lately have felt like something was missing from our sourdough bagel consumption. Did a garlic and dillweed version and i cannot wait to try others. Can i use the cream cheese to bake cheesecake? 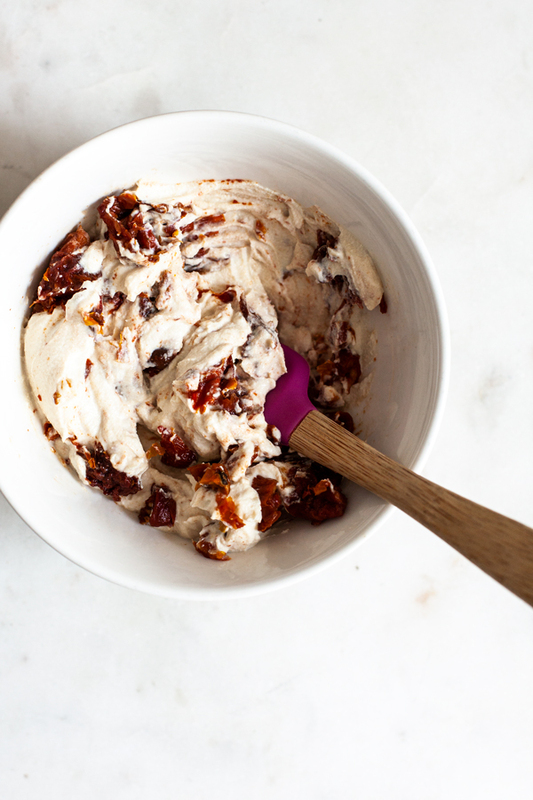 I’m honestly not sure—I’ve only used commercial vegan cream cheese in cheesecake recipes. You can certainly try, but I can’t promise the results! If it works out, let me know. Thanks for reading. Do you use silken tofu for this recipe? How long would this last in the fridge ? Can I use white vinegar or apple cider vinegar instead of plum vinegar?